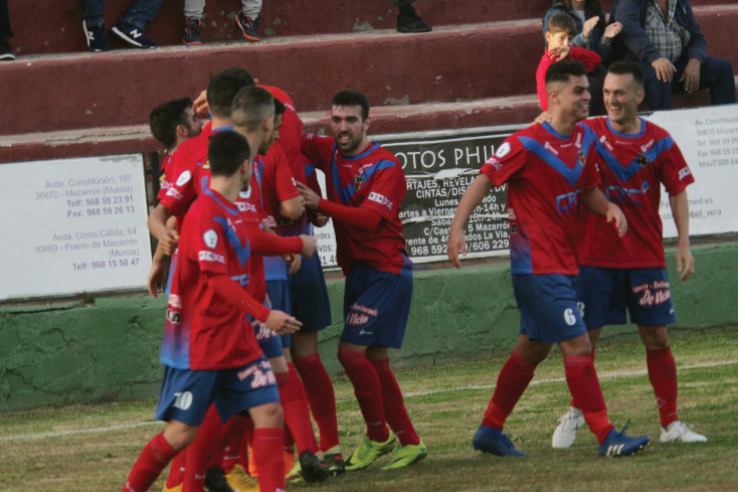 Having slumped to 11th in the league after a 5-2 home defeat to Lorca Deportiva in the last game before Christmas, Mazarrón returned to form with two impressive victories in the opening games of the New Year and climbed back up to 7th by mid-January. 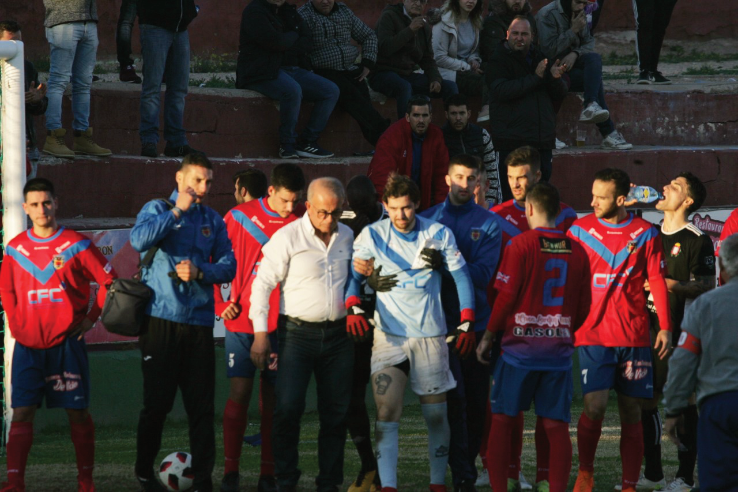 The Lorca home game turned on a dreadful injury to goalkeeper Antonio Pena who received a nasty kick on the head which needed hospital treatment towards the end of the first half. 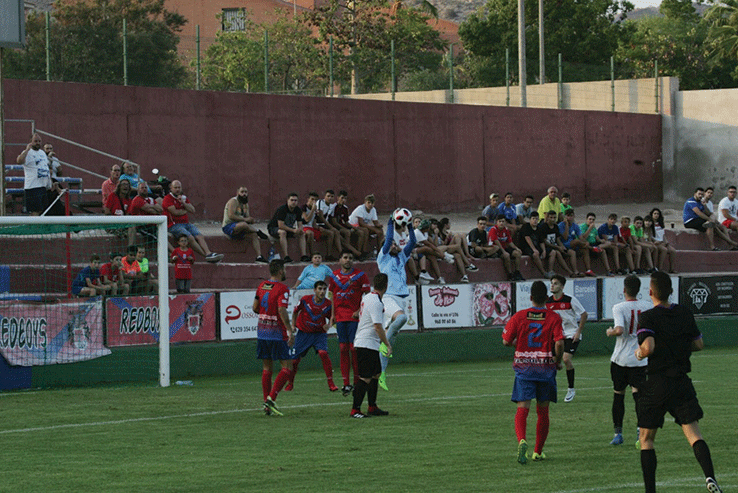 Mazarrón were leading 1-0 at this stage and looking good for three points. However, with only juvenile goalkeeper David available on the substitute’s bench, Mazarrón’s defence was unable to protect him in the second half and Lorca rattled in five goals to earn an important victory. The first two games of the New Year were both away from home in Almeria. 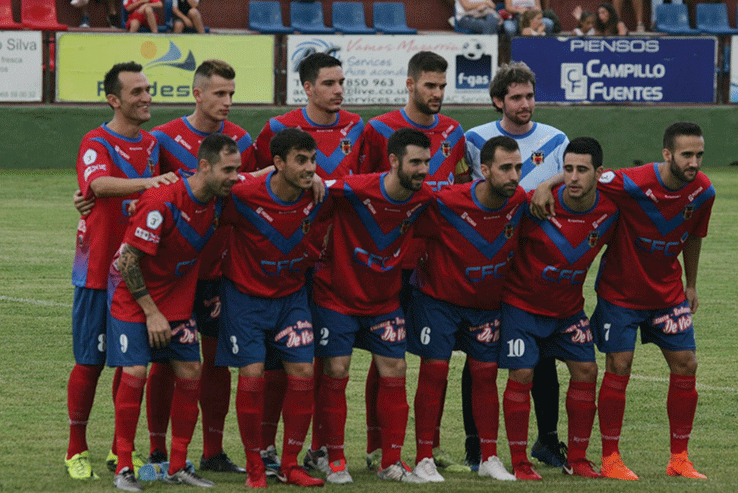 Goals from Salva Ballesta and Captain Adrian Campoy earned a splendid 2-0 win at Atletico Pulpileno, although Campoy received his 10th yellow card and missed the next game through suspension. Huercal-Overa were the next opponents and it turned out to be a memorable day. Arriving at the ground an hour before kick off the Mazarrón supporters enjoyed a few drinks in the Sports Bar directly opposite the ground before taking their seats in bright sunshine. The game got off to the worst possible start with the home team being awarded a controversial penalty after eight minutes. Things got worse when they went 2-0 up in the 23rd minute. 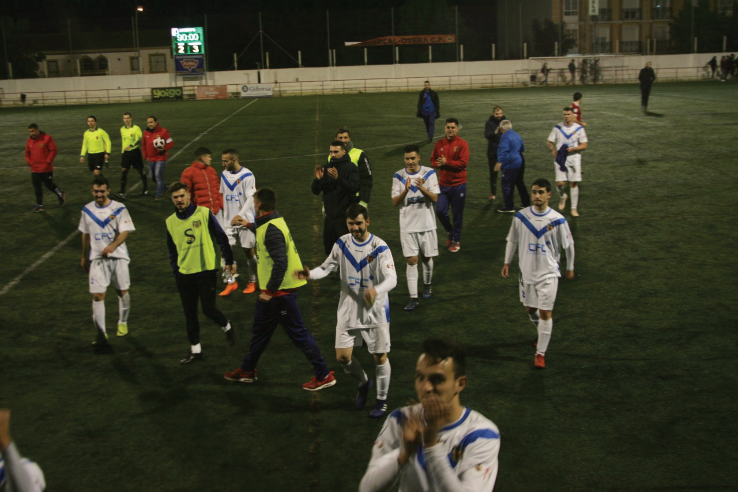 Thereafter, Mazarrón picked themselves up and showed what an excellent team spirit they have by scoring twice through Salva Ballesta and Borja before the interval. In the second half they gave a great display of attacking football and were rewarded with two late goals from Josema and José Da for a very impressive win and complete the double over Huercal-Overa who we beat 2-0 in the opening game of the season. 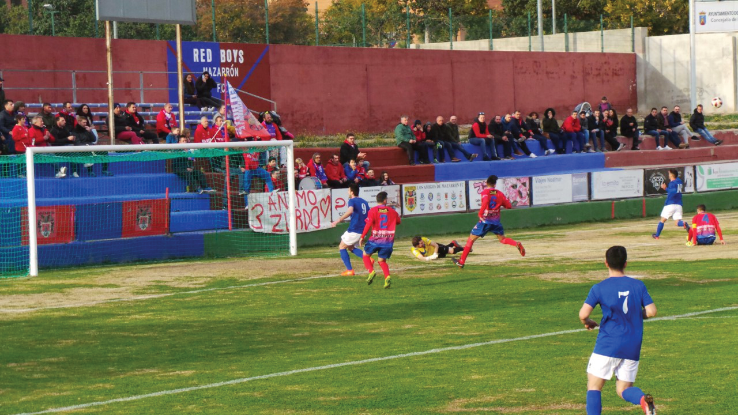 Mazarrón’s home games are normally played on Sundays with varying kick off times. 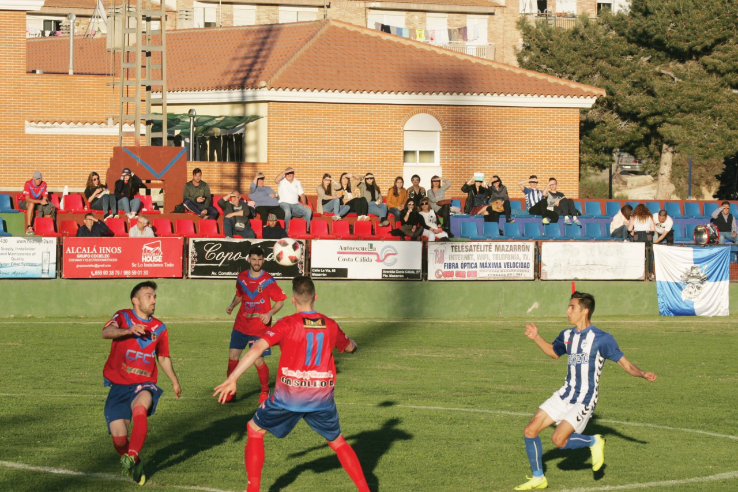 Los Amigos de Mazarrón FC organise a supporters’ coach to most away games at €10 for members and €12 for non-members For longer journeys a stop is often made en route for refreshments . Full details of games are advertised in the local media, on www.mazarronfc.es, on fb.me/mazarron2016 and on posters at various points throughout Camposol and Mazarrón. A Quiz Night was held at The Diner, Camposol B on Wednesday 30th January, hosted by Carl Thomas. There was supper and disco and we will have a full report in next month’s issue. Next month sporting celebrities from all over the United Kingdom fly into Spain for the Los Amigos de Mazarrón FC Gala Week celebrations. The highlight is the 10th Gala Dinner at the Hotel la Cumbre, Puerto de Mazarrón on Tuesday 26th March where 220 people will enjoy the evening in the magnificent banqueting room. Sponsors are Ibex Insurance and The Club House, Camposol C. We are extremely grateful for their fantastic support over the years. 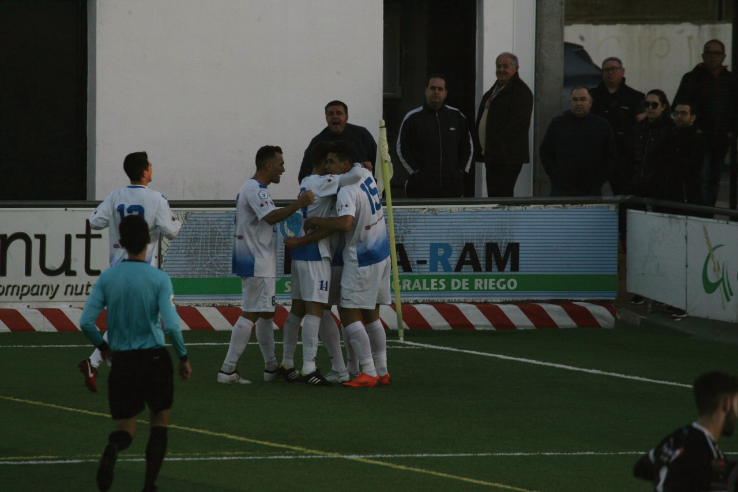 On Sunday 24th March, Mazarrón FC are at home to SFC Minerva; kick off 5pm. Most of the visiting celebrities will be flying into Spain that morning and Los Amigos have organised a special luncheon for them and members. A coach will take members to and from the game and the event is sold out. Many of the visiting celebrities, including Alex Stepney, Dave Bassett, Steve Daley, Tony Currie, Alvin Martin, Steve Kindon, Peter Reeves and Gary Marshall will be taking part in the golf at Camposol Club de Golfon Monday 25th March. Thanks to Andy and Angela Skinner of Tramway Financial Management and Shirley Fisher of Shirley Fisher Legal & Financial Services for this valued sponsorship. There are still a few places left for the Golf Tournament Texas Scramble. Green fees are €40 which includes lunch after the golf. Presentations will be made to the winning team and to the winners of the nearest the pin and longest drive competitions. Race Night – Saturday 23rd March @ The Club House Camposol. The event is this year being sponsored by Camposol Property Sales. The first race is at 7.30pm and admission is by ticket only at €8 for Los Amigos members and €10 for non-members. This includes a Race Card, entry into a Lucky Draw and an English style Buffet Supper. Los Amigos de Mazarrón FC hold weekly meetings throughout the football and new members are very welcome. Social meetings take place every Thursday at The Club House, Camposol C at 4pm. General meetings are held on the last Thursday of each month when only members are allowed to attend. Membership is €20 with numerous discounts available on most social events and coach travel. Email pamada.1130@yahoo.co.uk for a membership form.